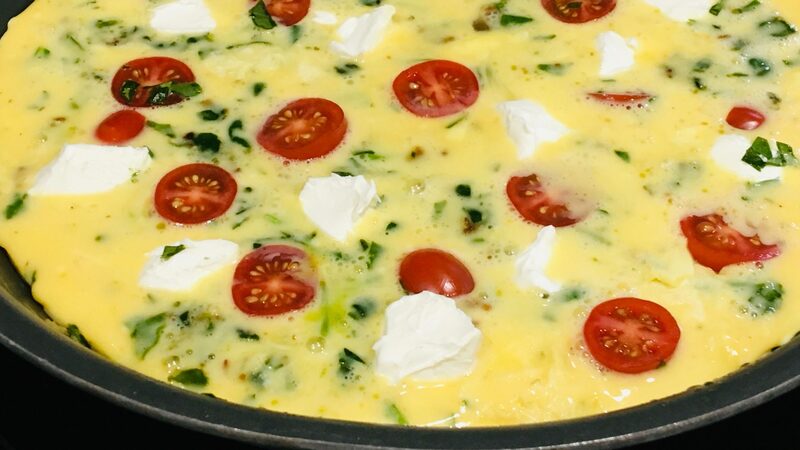 This BLT Frittata combines wilted spinach, sweet tomatoes, and smokey bacon together with fluffy eggs and cream cheese all in one pan. 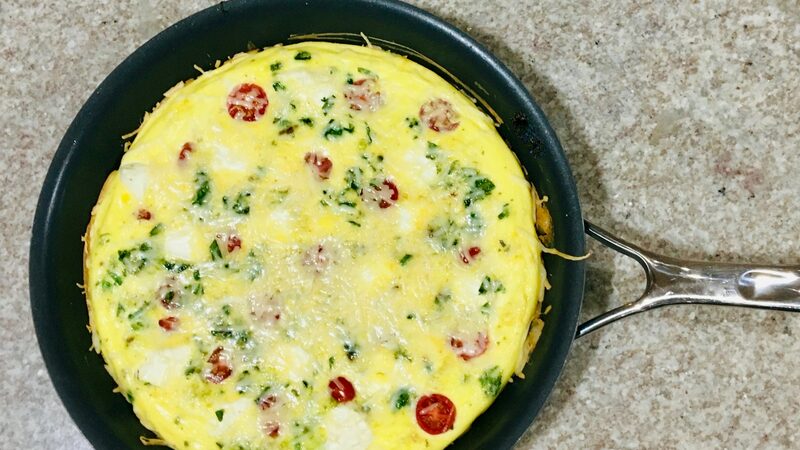 A savory breakfast or quick dinner the family will love. My family usually has breakfast for dinner once a week. A tradition we started many years ago. 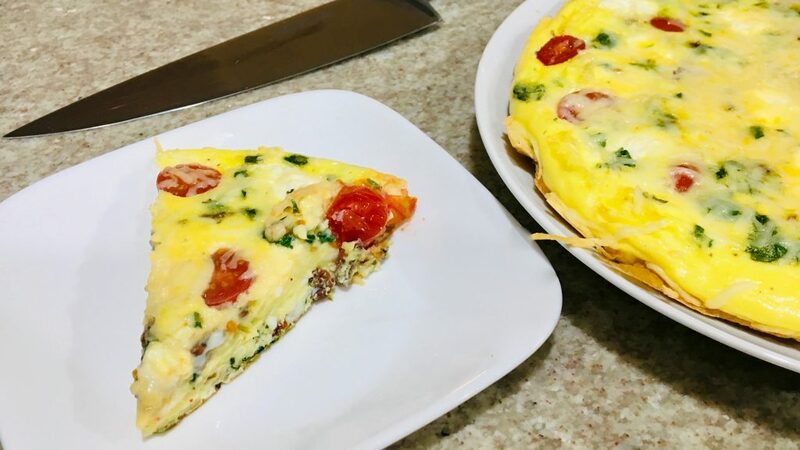 We love frittatas; actually we lovingly call them “egg pizzas.” I came up with this recipe because I wanted something a little different than traditional breakfast food. Bacon, lettuce and tomato is a refreshing flavor combination and brings a fresh twist to this meal. 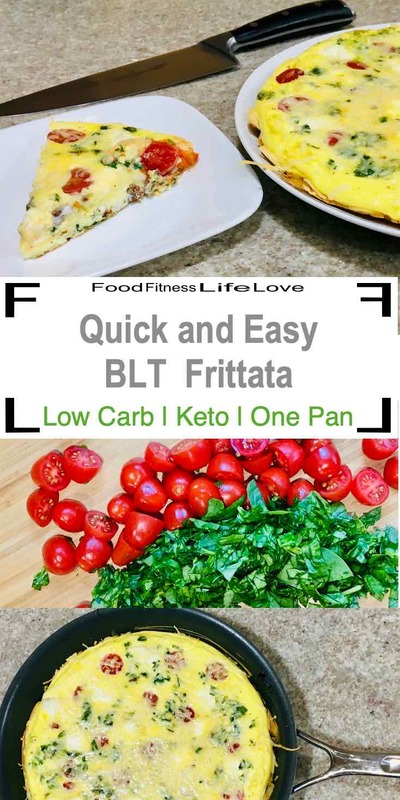 Pre-made bacon crumbles make this BLT Frittata come together quickly. You can make your own and store them in the fridge or buy them. 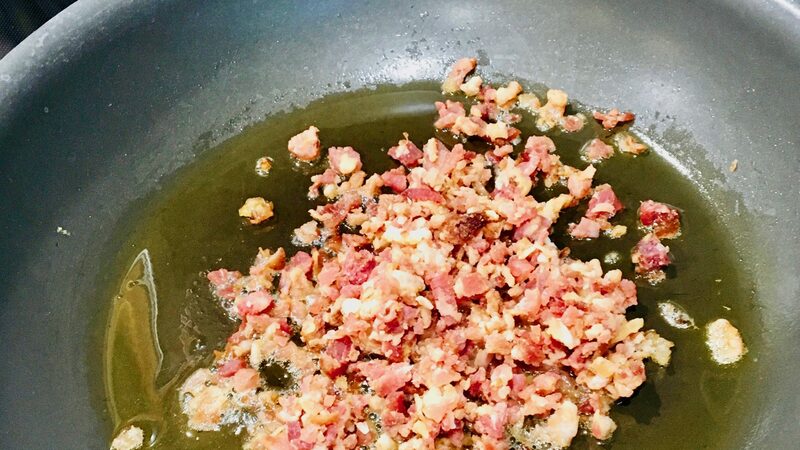 Even though the bacon crumbles are already cooked, I like to warm them up a bit on the stove to enhance the flavor. 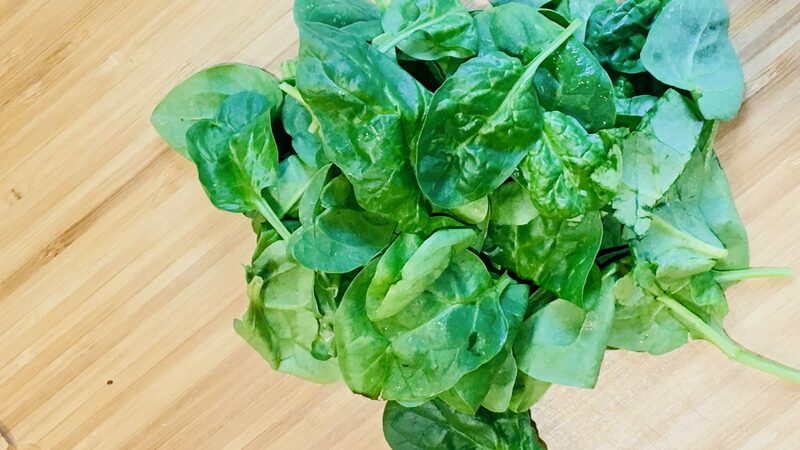 I cut the spinach up pretty small, mostly for the kids. They don’t like to bite into one big leaf. 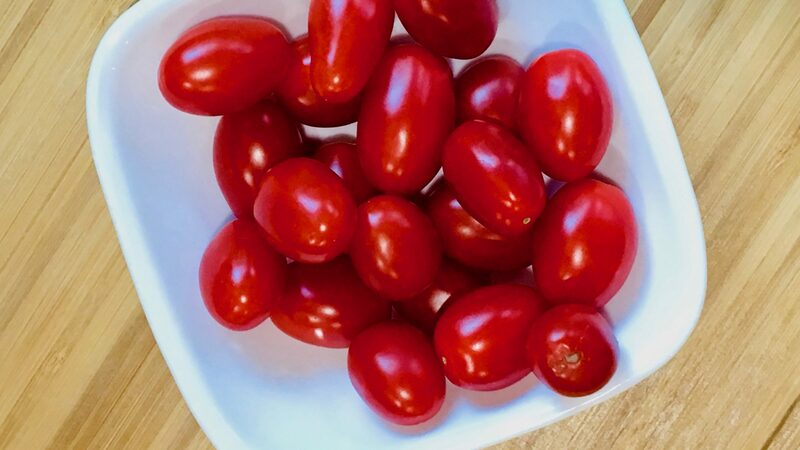 The grape tomatoes add a sweet pop of flavor in your mouth. When the bacon is fragrant, I add the spinach to the pan. It won’t take long before it’s wilted. I mix up my scrabbled eggs in a protein shaker bottle. It’s quick and makes it easy to make sure the ingredients are evenly distributed in the pan. 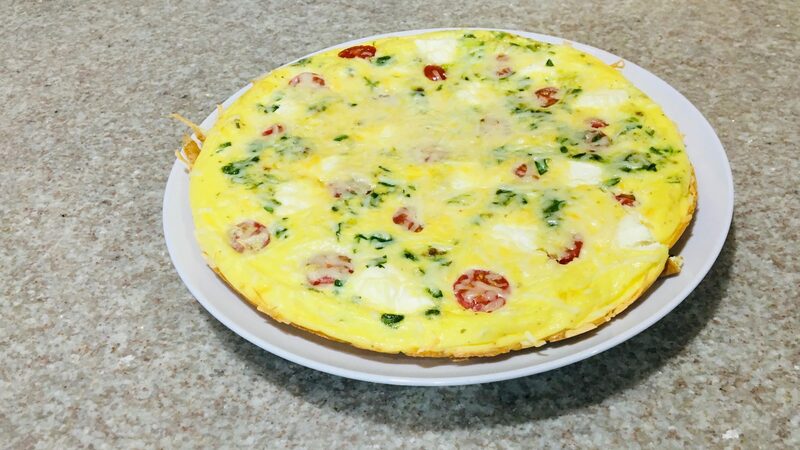 When the eggs are about half cooked, add the tomatoes and cream cheese. Spread them out, sort of like you’re topping a pizza. 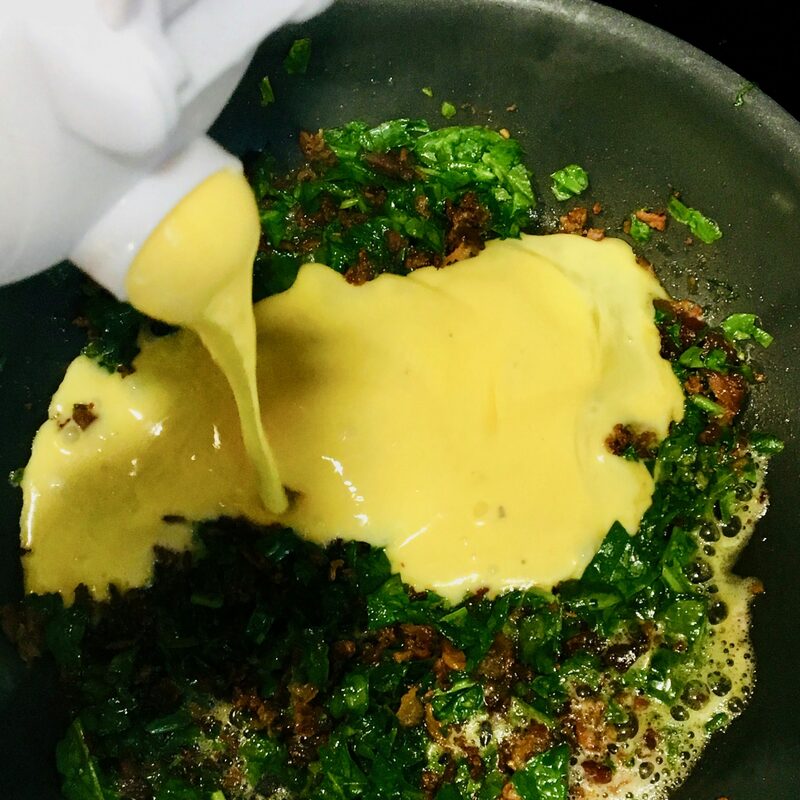 After the frittata is cooked, use a spatula to release the edges from the pan and carefully slide onto a plate. Heat an oven-safe, non-stick skillet on the stove top over medium heat. Add olive oil and bacon crumbles to pan. 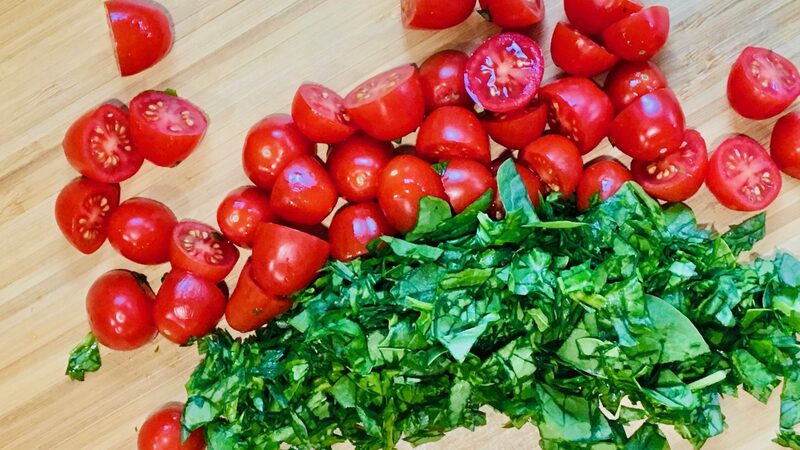 While pan is heating, chop baby spinach into small pieces and halve the grape tomatoes. In a bowl, whisk together eggs and heavy whipping cream or combine them in a shaker bottle. 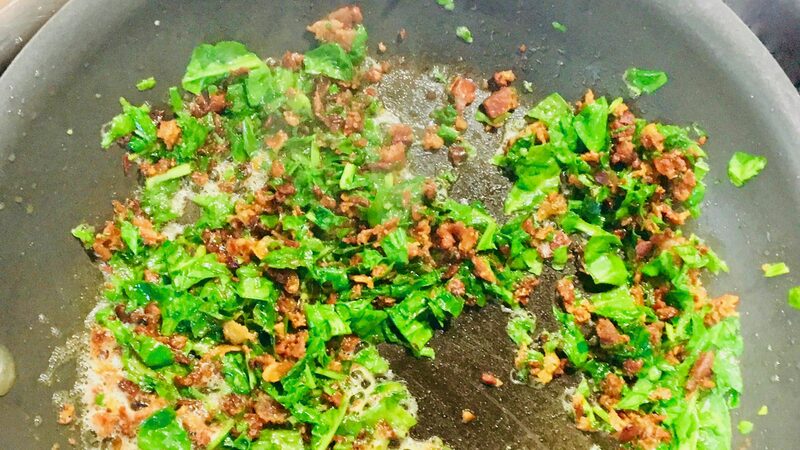 Once the bacon is fragrant, add spinach to pan and wilt. 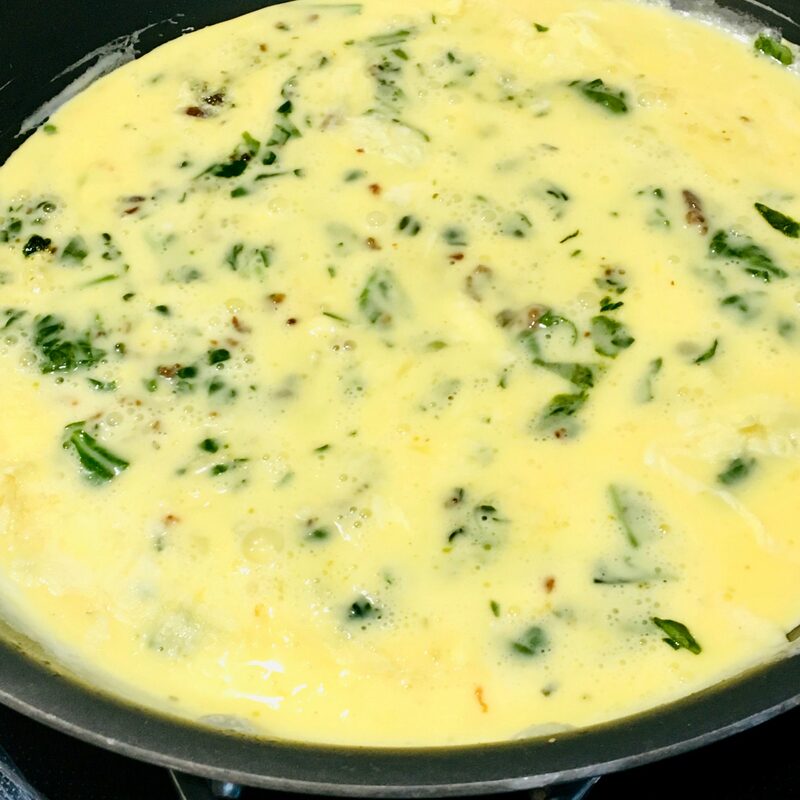 Distribute bacon and spinach evenly in the pan, and then pour eggs into the pan. Do not mix. When eggs are half cooked, evenly distribute tomato halves on top, and then cubed cream cheese. Turn off stove and put the pan in the pre-heated oven. Bake for 10 minutes. After 10 minutes, take the frittata out of the oven and sprinkle parmesan cheese on top. Bake additional 5 minutes more until center is set. 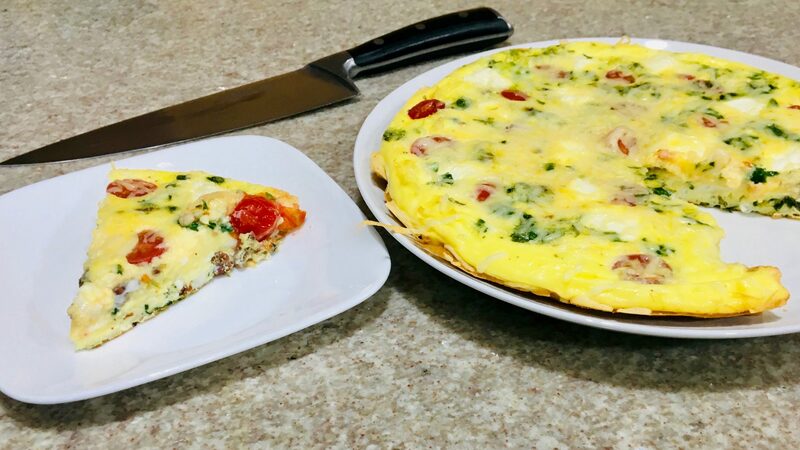 Once the frittata is cooked, use a spatula to release edges and carefully slide it onto a serving plate. Slice and serve.